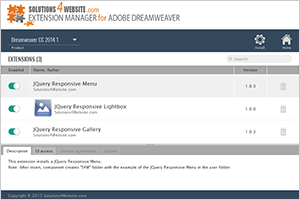 Our own extension manager for Adobe Dreamweaver. It can install all our extensions either in Dreamweaver CC 2017 and in older Dreamweaver versions. 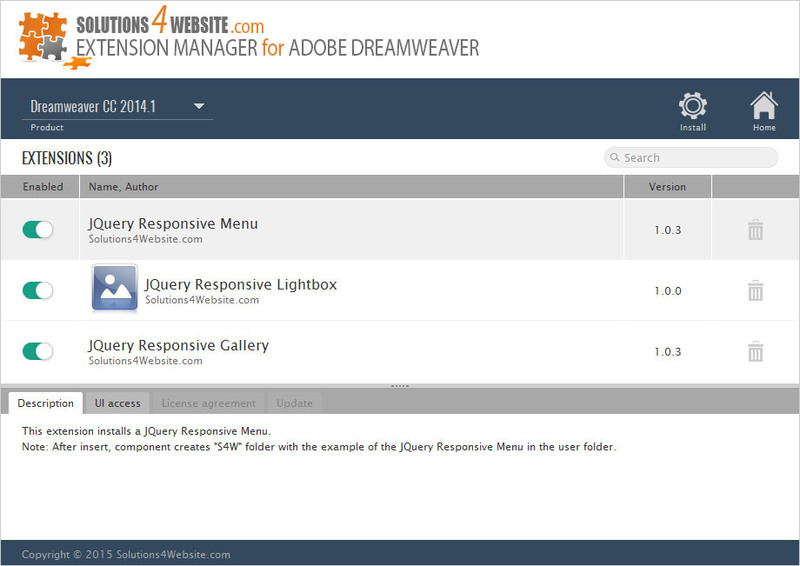 Extension manager will check the latest available versions of your extensions and offer to download and install them.